Our 5 star rated dealership has been here going on 3 years now, and in that time we have already earned our reputation as an honest used car dealer that operates with integrity. Please take a moment to scroll down to the review section below and read what our customers are saying about their buying experience with us! In the winter months, we all need to take additional steps to protect ourselves from the cold… warmer clothes, a heavy coat, a hat, mittens, a scarf and boots with good traction for the snow. But how often do we think about protecting our car during cold months? The fact is, we should all be winterizing our vehicle before the beginning of the season. This preparation is essential, as cold temperatures make it difficult for engines to work properly, snow limits tire traction, and salt causes rust and gravel pits on the exterior paint. Most businesses, events and activities will only close down during the worst storms or extreme temperatures during winter, which means that you could be commuting in some pretty nasty conditions. It’s important that vehicles are properly prepared for winter conditions to make sure your commute from A to B, as safe as possible. Antifreeze levels: ensure they’re sufficient to avoid freezing. The ideal mixture of antifreeze and water in your radiator is 50:50. If this ratio is off, your vehicle will not perform as well. Battery and ignition system: they should be in top condition, and battery terminals should be clean. Extreme temperatures can cause your vehicle’s battery to operate at less than 50%. If your battery is over three years old, have it tested. Belts and hoses: have them inspected. Brakes: check for wear and fluid levels. Exhaust system: check for leaks and crimped pipes, and repair or replace as necessary. Carbon monoxide is deadly and usually gives no warning. Four-wheel drive system: check that your system engages and disengages properly, and does not make any unusual noises when you start it. Also, check the gear oil levels and transmission before temperatures get too cold. Fuel and air filters: replace filters and keep water out of the system by using additives and maintaining a full tank of gas. A full tank will keep the fuel line from freezing. Heater and defroster: ensure they work properly. Lights and flashing hazard lights: check for serviceability. Oil: check for level and weight. Viscosity of oil – how thick it is – will change depending on its temperature. The colder oil is, the thicker it will become. Consequently, thick oil does not circulate through an engine as easily as thinner oil during start-up. To reduce the risk of problems with your engine oil, place thinner oil in your engine before the cold weather season. Thermostat: ensure it works properly. Windshield wiper equipment: repair any problems and maintain proper washer fluid level. Tires: braking, accelerating and handling are tough to do with worn or high performance tires on slippery roads. Snow tires will increase traction and reduce your chances of slipping on slick surfaces. Properly inflated tires ensure the best possible connection between your vehicle and the road, especially in slick conditions. Keep in mind that cold temperatures can cause air pressures to drop since gases contract when they are cold. Freezing rain – Rain that freezes when it hits the ground, creating a coating of ice on roads, walkways, trees and power lines. Sleet – Rain that turns to ice pellets before reaching the ground. Sleet also causes moisture on roads to freeze and become slippery. Winter weather advisory – Winter weather conditions are expected to cause significant inconveniences and may be hazardous. When caution is used, these situations should not be life-threatening. Winter storm watch – A winter storm is possible in your area. Tune in to the National Oceanic and Atmospheric Administration Weather Radio, commercial radio or local television for more information. Winter storm warning – A winter storm is occurring or will soon occur in your area. Blizzard warning – Sustained winds or frequent gusts to 35 miles per hour or greater, and considerable amounts of falling or blowing snow (reducing visibility to less than a quarter mile) are expected to prevail for a period of three hours or longer. Frost/freeze warning – Below-freezing temperatures are expected. Pull off the highway. Turn on the hazard lights and hang a distress flag from the radio antenna or window. Remain in your vehicle where rescuers are most likely to find you. Do not set out on foot unless you can see a building close by where you know you can take shelter. Be careful—distances are distorted by blowing snow. A building may seem close, but be too far to walk to in deep snow. Run the engine and heater for about 10 minutes each hour to keep warm. When the engine is running, open a downwind window slightly for ventilation and periodically clear snow from the exhaust pipe. This will protect you from carbon monoxide poisoning. Exercise to maintain your body heat, but avoid overexertion. In extreme cold, use road maps, seat covers and floor mats for insulation. Huddle with passengers and use your coat for a blanket. Take turns sleeping. One person should be awake at all times to look for rescue crews. Eat regularly and drink ample fluids to avoid dehydration, but avoid caffeine and alcohol. Be careful not to waste battery power. Balance electrical energy needs – the use of lights, heat and radio – with supply. Turn on the inside light at night so work crews or rescuers can see you. If stranded in a remote area, stomp large block letters in an open area spelling out HELP or SOS and line with rocks or tree limbs to attract the attention of rescue personnel who may be surveying the area by air. Leave the car and proceed on foot – if necessary – once the blizzard passes. Driving in the winter can be harrowing, especially where blizzard and icy conditions crop up seemingly out of nowhere. By planning ahead, you can assure that you arrive at your destination safely and avoid the dangerous winter driving hazards. But you can’t avoid the fact that your car will probably take a beating. We’re committed to keeping you and your loved ones safe, as well as making sure that your vehicle is in top operating condition. You ensure that you’ve taken the proper precautions to arrive at your destination safely…contact our service department to set up an inspection today. 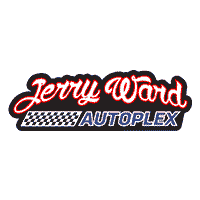 Jerry Ward Autoplex	36.4146698, -89.0531473.